Paizo.com is currently experiencing some technical difficulties with the sending of automatic email communications. Please visit this thread for more details and updates. Paizo.com will be undergoing scheduled maintenance on Saturday, February 16 for approximately 2-4 hours, starting at noon Pacific time. Updates or additional information will be posted to this thread. The Paizo offices and warehouse are currently closed due to winter storm activity in the Pacific Northwest. For closure updates, please visit this thread. Harness the unstoppable force and life-giving power of the natural world! 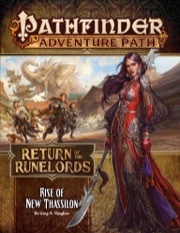 The newest Pathfinder Player Companion is available now! In this new volume, discover the histories, dogmas, and practices of 10 influential deities venerated outside of the major cultures of the Inner Sea.